How Is Paws Up Different Than A Dude Ranch? The history of the dude ranch dates back to the 1800s when it was common practice for ranching families to invite friends from the city to visit their cattle ranches. As the railroad stretched throughout the West, ranch owners realized they could attract flocks of city slickers (otherwise known as “dudes”) and the business proliferated. Today hundreds of ranches offer dude ranching experiences. 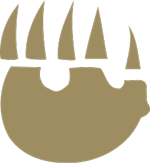 Paws Up is situated on a sprawling, 37,000-acre working cattle ranch. You can join authentic western ranch activities like a cattle drive where novice and advanced riders team up with seasoned ranch hands in driving a herd of cattle. Guests saddle up their horses and set out to gather the cattle and trail them to working corrals, sort them, then trail them back to their home pasture. Other ranch activities include a junior wrangler program and scenic wagon rides. What differentiates The Resort at Paws Up from a Montana dude ranch is a commitment to luxury. Montana’s premier luxury ranch resort offers first-class service and luxurious accommodations (including private vacation homes and glamping tents) and amenities. At Paws Up, once you dismount, you’ll step into a world of incomparable creature comforts featuring gourmet cuisine, decadent spa treatments, personalized service, and amenities such as flat-screen TVs, wireless Internet, in-home laundry, heated bathroom floors, rain showers, organic spa products and hot tubs. The dude ranch tradition is alive and well in Montana at Paws Up – offering patrons a taste of the American frontier like none other. Check out our time-lapse video recap of Montana Long Table 2012. Join us on either June 22 or July 13, 2013 as we celebrate Montana’s unique culinary resources. It seems that the walls and partitions of offices and cubicles create division and stifle collaborative thinking. Even those fortunate enough to have a window office, often fix their gazes on the surrounding concrete jungles or drab parking lots. Do inspiring visions really come from a vast room full of coats, ties and boring business suits? How ’bout the time constraints of a 45-minute meeting with paper cups from the water cooler providing the main source of refreshment? To start thinking outside the box, companies need to spend some time outside of it as well. 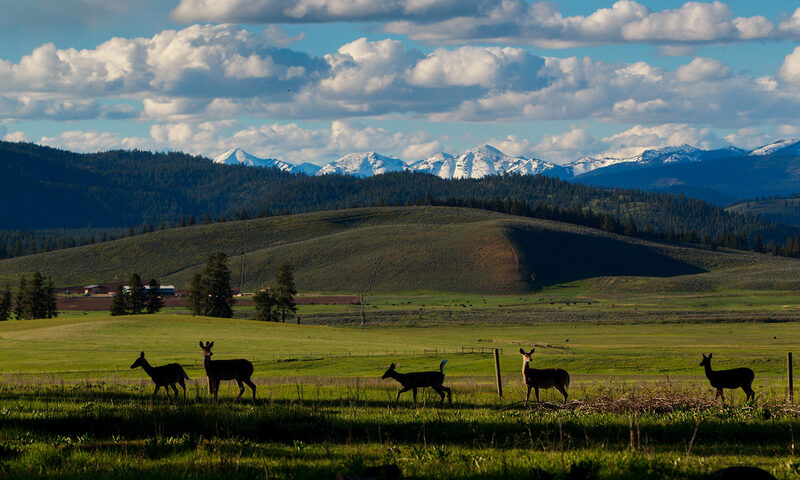 The Resort at Paws Up spans 37,000 acres of majestic Montana countryside – the perfect environment to corral fresh ideas and broaden your company’s horizons. Instead of a boring board room, teams meet in a 100-year-old renovated barn. Instead of breaks spent waiting in line at the Starbucks down the street, they’re spent in the saddle of a horse driving cattle as a team. Instead of spewing uninteresting thoughts and ideas while someone struggles to jot them down on a whiteboard, new viewpoints and viable solutions flow while relaxing during a gourmet dinner on the banks of the Blackfoot River. Leave the average meetings for the average companies. We profess that work and play can be intertwined. It’s amazing what a little pampering, luxury, and gourmet food and wine can do to motivate, inspire and rally a team towards achieving greatness.